The following post is excerpted from a Founder Forum interview with Kevin Strange, Ph.D., about Novo Biosciences that originally appeared in the online publication, Maine Startups Insider (MSI). The original interview has been edited for clarity and length. Founder Forum, a weekly interview with a startup founder in Maine, is sponsored by the Maine Technology Institute. Read original article. Kevin Strange, Ph.D., is co-founder and CEO of Novo Biosciences, a four-year-old biotech startup in Bar Harbor that is working on developing a drug that could give humans regenerative capabilities. While that sounds straight out of a sci-fi novel, Strange and his co-founder, Viravuth P. Yin, along with another researcher, Michael A. Zasloff, M.D., Ph.D., have identified a molecule called MSI-1436 that has demonstrated regenerative properties in the laboratory—first in zebrafish, then in mice. The goal now is to lead this drug candidate through tests in large mammals and then, hopefully, demonstrate that it can help humans regenerate heart muscle tissue following a heart attack. Despite his confidence in the research results, Strange is careful not to oversell the company’s potential and its drug candidate. There are still many hurdles in front of them, not least of which is the need to raise massive amounts of money from investors. Leading a drug through clinical trials could cost as much as $30 million, he says, and the failure rate in drug development is incredibly high. “We couldn’t be in a riskier business,” he says. But the payoff if it does work could be massive. Besides the honor of coming up with a drug that could help people survive cardiovascular disease, which is the world’s number one killer, such a drug would generate billions of dollars a year in revenue. Novo Biosciences is a for-profit spinoff of the MDI Biological Laboratory in Bar Harbor, where Strange is also president, having left a job at Vanderbilt University School of Medicine in 2009 to move to Maine. In this Founder Forum interview, Strange delves deeply into the financial risks of drug development, how Maine could better incentivize technology transfer from academic institutions, the lack of state resources to support biomedical entrepreneurs and how the perception of the state has affected his chances to raise investment. We also discuss how changes Strange made when he took the reins at MDI Biological Laboratory led to the spinning off of Novo Biosciences and the recently launched Maine Center for Biomedical Innovation, which serves as an incubator for biomedical startups. 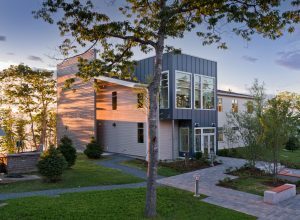 Besides Novo Biosciences, the MDI Biological Laboratory is incubating four other startups, including two that moved to Bar Harbor from out of state. MSI: You’ve spent a career in biomedical research and academia. Is Novo Biosciences your first foray into entrepreneurship? Yes, though it depends on how you define entrepreneurship and startups. I would argue that the MDI Biological Laboratory is a startup—it just happens to be 120 years old. But certainly where it was eight years ago versus where it is today are very different, which is what led to this discovery. I also don’t equate entrepreneurialism with for-profit entities. I think the term refers to people who take risks and go out and start something new that might be disruptive, against the grain or different from the status quo. But yes, Novo Biosciences is the first for-profit entity I’ve started. MSI: Let’s start with the MDI Biological Laboratory then. It was founded in 1898. You became president in 2009. 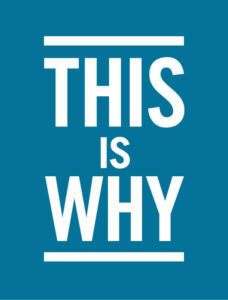 Why do you consider it a startup? It was basically a seasonal marine research station until 2000 when it became a fulltime research institution with the recruitment of the first year-round scientist. Prior to that, there were only nine employees, none of whom were scientists. The model of a seasonal research institution wasn’t viable any longer. The institution grew in an ad hoc way until 2009 when I came in and I put a very, very strong research focus in place. That’s what led to this discovery. That focus is in the field of regenerative biology and medicine. Stem cells have been the focus of regenerative medicine for the last 15 to 17 years. I had always been skeptical of the idea that you can simply inject patients with these special types of cells and they’ll fix whatever ails them, in part because there’s not a lot of strong science backing the idea. The approach we’ve taken is different: we are studying animals that have a profound capacity to repair and replace tissue after it’s been damaged or amputated. If they lose a limb, they grow it right back. If their spinal cord is severed, they heal it right up. If their brain is damaged, they repair it without question. If there’s heart damage, either experimentally induced or naturally occurring, they readily repair it. Our approach has been to ask a very basic question: how do they accomplish this amazing feat and why is it that most of our tissues—our heart, our spinal cord and our brain, for example—don’t regenerate? If you survive a heart attack, the part of your heart that’s damaged by the loss of blood flow turns into non-functional scar tissue, which can lead to more heart attacks and eventually to heart failure. So the idea is to study these animals, ask how they do it, then develop drugs that turn on our regenerative capacity. That was pretty much a crackpot idea eight years ago, but in less than four years we discovered the drug that launched Novo Biosciences. To date, it’s the first and only drug that’s ever been shown to stimulate regeneration of the mammalian heart after a simulated heart attack. There is a direct connection between our entrepreneurial approach to research and the formation of Novo Biosciences. From a broader perspective, I’ve always been interested in the interface between basic science and the application of that science. I think it’s something we don’t do well in universities and most research institutions. I’ve put a lot of effort into that here. 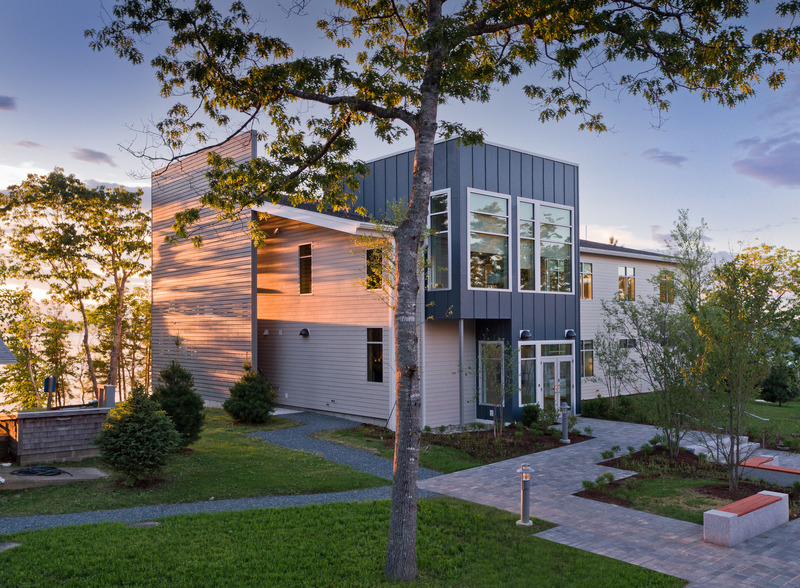 Just a few months ago, we launched the Maine Center for Biomedical Innovation, which is a hub and an accelerator for the commercialization of biomedical discoveries in Maine. MSI: Commercialization of university-based research has been a perennial topic of discussion in Maine. Why do you think it’s been hard to generate commercial activity from academic research in Maine? First, most basic research really doesn’t lead directly to a commercializable product. In the case of biotechnology, for instance, you have to have a massive understanding of the underlying biology before a drug candidate is discovered. I also think there’s a profound misperception that someone—us or UMaine or JAX—is supposed to be spinning out a company every other day. The reality is that most of what we do will never lead to a direct application. Second, most scientists aren’t entrepreneurs: they don’t have the aptitude for, interest in or appetite for starting a company. Also, most academic institutions, including those in Maine, incentivize scientists to publish papers and teach classes, not to start companies. So the reward mechanisms aren’t in place. At a place like MIT, on the other hand, and they’re cranking out companies. The other problem is we don’t encourage our young people enough to think and operate this way. It’s hard to get an academic who has spent his or her career trying to get to where they are to all of a sudden become an entrepreneur. It’s less hard, in my opinion, to get students who aren’t siloed yet to think that way. That’s something we’ve been trying very hard to do here. It’s really a two-sided equation: an expectation that’s unrealistic, and a culture in which entrepreneurial activity is not incentivized. MSI: Do you have ideas for how we in Maine could better incentivize members of our university system to pursue real-life applications from their research? Sure. What’s interesting about Maine is that for a state with a population of only 1.3 million people, it actually has a lot of excellent R&D assets and a lot of excellent institutions of higher education. So it has one of the cornerstones needed to build a science- and technology-based economy. The problem is that the institutions aren’t working together in a coordinated fashion. They don’t have a clear understanding and mandate from state government; they don’t have any real leadership to drive this. So at the end of the day, you don’t have the kind of long-term commitment—and when I say long term, it’s probably 20 or 30 years before you start to see big returns—and the finances to incentivize this type of activity. We established the Maine Center for Biomedical Innovation to help drive this activity. The center is the focal point for what the state can and should be doing. One of the center’s functions is to provide incubator space. A lot of people think an incubator is just a place where you can rent space, but it’s more than a rental. We’re providing an enormous amount of expertise to help entrepreneurs get their companies off the ground—access to scientists, to costly scientific infrastructure, to networks of people. We are now incubating five companies, including two from out of state. As we have more successes, we are starting to advocate more and get out in front of this at every possible level. The number of people I have knocking on my door now compared to a year ago has increased a hundred-fold and that’s because we’re talking about this. People are starting to make connections and make things start to happen. I’ve actually had to turn companies away because we don’t have the space. But, again, it’s a long-term commitment; it’s not a fast turnaround. MSI: So far, have the resources you’ve used for all this been internal? Or have you received state money through MTI (the Maine Technology Institute)? Yes and no. The center was funded through a state bond approved in 2014 to help us expand our research infrastructure and continue growing our programs, which was required to renew a big grant that’s critical to what we’re doing. Although the bond funding wasn’t originally for commercialization activity, we leveraged it to promote this idea because it’s important for our survival and to pay the state back. We hope to obtain more state funding. We will be competing for $45 million in bond funding approved by the voters in June. We would use those funds for increasing commercialization activity and infrastructure. Another bond initiative is coming up that a state senator is pushing for us without us asking for it that would be focused on the commercialization side of things as well. MSI: You said only a small percentage of academics and researchers have the entrepreneurial bent necessary to launch a company. You seem to have it. Is that something you’ve always known you’ve had, or did it emerge once you realized what you had discovered at the MDI Biological Laboratory? I’ve always been someone who marches to my own drumbeat. I’m not a traditional academic. I’ve done many things that most people thought were absolutely insane. I had a Nobel laureate tell me after he heard about a research direction I had taken off in that when he first learned about it he thought to himself, “This guy has just built the coffin of his career, climbed in and nailed the lid shut.” When I saw him a year or two later, he told me that story. Then he said, “You know, I was completely wrong.” I replied, “I wish you had told me I was going to kill my career because it would have driven me that much faster.” So I’ve always had an interest in doing things that aren’t mainstream. That’s what I consider an entrepreneur. Fortunately, all of my ideas seem to have worked out. Novo Biosciences is my first for-profit endeavor, but it’s motivated more by the moral obligation to move the discovery of MSI-1436 into patients, if possible, than by profit. We discovered MSI-1436 in a model we use a lot, the zebrafish, a common aquarium fish. After testing MSI-1436 exhaustively in zebrafish, we moved it into mice. We’ve shown that it works beautifully in mice. If all goes well, the next step is to move it into pigs. I like to say that if your pet mouse has a heart attack, we can fix it for you. We don’t know yet if MSI-1436 will work in humans, but there’s a lot going for it that encourages us. MSI: What are the advantages of doing this as a for-profit spinoff versus continuing to do it under the nonprofit umbrella of the laboratory? Right now we’re focused on using this molecule—it’s not really a drug until it’s approved by the FDA, so I’ll call it a molecule—for the treatment of a heart attack. No drugs now exist to treat a heart attack. In order for us to get it through the various stages of development and into what are called Phase I and, if we’re lucky, Phase II clinical trials, it will cost $25 to $30 million. You’re not going to get that kind of money from the NIH (National Institutes of Health). You need investors—investors who will expect an enormous return if this works. If the drug is approved—and again, we’re a long, long way from that; I don’t want to oversell it—it is literally worth billions and billions of dollars a year. Cardiovascular disease is the world’s number one killer. So to take it where it needs to go, you need access to capital you can’t get unless you’re a for-profit company. MSI: What have been the challenges since spinning off as a for-profit entity? First of all, I knew nothing about it when I started. I learned everything the hard way. Fortunately, I’ve always said I’m at least smart enough to know what I don’t know, so I’ve managed to not make any disastrous mistakes. But it’s hard work. We just received our first patent on this molecule last November—it was the first patent in the institution’s 120-year history. I knew nothing about the patent process, and learning about it involved an enormous amount of time, effort and frustration, not to mention some money. So there’s a big startup curve. Since we all have a finite bandwidth, something else has to give. In my case, it’s been the pursuit of my scientific career. It’s hard work, and it’s highly risky. And the outcome is binary: you either lose everything or you make huge amounts of money. MSI: Have you just learned by yourself on the go, or have you worked with mentors or reached out to other entrepreneurs as you learn along the way? Has the entrepreneurial support network existing in Maine been helpful to you in the biomedical field? There are a lot of great resources for entrepreneurs in this state, but they don’t translate into these kinds of science- and technology-based endeavors. I’ve worked very closely with MTI. But by and large it’s involved going to people who are knowledgeable, getting different opinions and trying to sort it out by myself; also, going slowly enough so as not to make too many disastrous mistakes. MSI: Tell me about your experience approaching investors about Novo Biosciences? There are two things we’re running into. One is that investors keep telling us we’re too early, that they want to see it work in humans first. That’s going to take millions of dollars. I also think there’s a perception issue: “How can those guys up there in the middle of nowhere find something like this?” I spent a number of years at Harvard Medical School and I am quite certain that had I spun this out of Harvard or a Boston institution, I would have plenty of money and investors. But it’s a realistic issue as well: if you’re an investor with X amount of money to put down on a risky endeavor, are you going to put it down on a little place you’ve probably never heard of or Harvard Medical School? Obviously, your first instinct is to go where you think the money is safer. MSI: Was that disheartening? What did that do to your hopes of being able to raise the necessary funds for your company? I’ve known all along this was going to be a hard road. What propels me is the importance of what we’ve discovered. Ninety-eight percent of the drugs or drug possibilities that are discovered in a laboratory never make it into human trials. There’s some problem with them: they’re too toxic, or they don’t work the way people think they’re going to. That’s a huge failure rate. Ninety percent of the drug candidates that actually prove to be safe enough and specific enough to try in human clinical trials fail. They fail because they don’t work or because they have effects that weren’t counted on—a sick human is very different from a laboratory-bred mouse. The failure rate is enormous. But one of the important things about this molecule is that it was tested in humans in 2007 as a potential treatment for obesity and type 2 diabetes. In order to get into human clinical trials, a drug candidate has to go through very expensive toxicity testing. MSI-1436 has already cleared those toxicity tests. Plus, it was tested in 65 or so patients and found to be very well tolerated. That’s very important. In addition, we actually know the target of the drug, which is a huge piece of information. The data from the very early-stage clinical trials suggests that the drug works by inhibiting this target. All of this represents 10 years of work and millions of dollars of investment. So we’ve gotten over this huge, huge hurdle already. In addition, in our animal studies we’re using concentrations that are 50 times lower than the maximum well-tolerated dose shown in these clinical trials. We’re working with dosages way below what patients are able to tolerate. These are the things that compel us to move forward. MSI: When it comes to the actual intellectual property, who owns that? Does the laboratory own it, or do you and your co-inventors? The institution owns the intellectual property, and the patent is awarded to me and my co-inventors. The institution licenses it to us to develop. If it pays off, the institution will get a nice chunk of cash out of it as well. This is another motivation: the MDI Biological Laboratory needs to diversify its revenue sources, so trying to commercialize MSI-1436 is part of the longer-range plan. MSI: What if you can’t find investors willing to put up $30 million to get this through all the stages of clinical trials? Is another route to go to some big pharma giant that has the funds to do the trials itself and sell it to them? I’ve certainly talked to a lot of pharmaceutical companies. The biggest ones have expressed a lot of interest, but like everybody else they want more data. They want to see how it works in a large animal model first. The next step is to test it in a pig model. Hopefully we’ll be getting some funding for that. If it gets through pig trials, we’ll ask the FDA what more they need from us. Because standards have changed, they’ll probably want more toxicity testing. We would then try to move it into Phase I clinical trials, and eventually into Phase II. At Phase II, you’re testing the drug candidate in quite a few patients—probably a couple hundred—to see if it improves the outcome of a heart attack. At that point, it would become far too big for us to manage: we’d have to license it to a pharmaceutical company that has the expertise to move it through Phase III, which would involve thousands of patients all over the country—maybe the world—and cost probably tens of millions. MSI: That’s when you and the investors in Novo would have an exit? The typical way it works is that the pharmaceutical company would basically come in and give you some upfront payment. Plus, there would probably be milestone payments. So if it made it through Phase III, you’d get another tranche of cash, and if it got approved by the FDA you’d then get some sort of royalties.